These facts are interesting but pale in comparison to my nearly eight years old chief interest. MUMMIES! 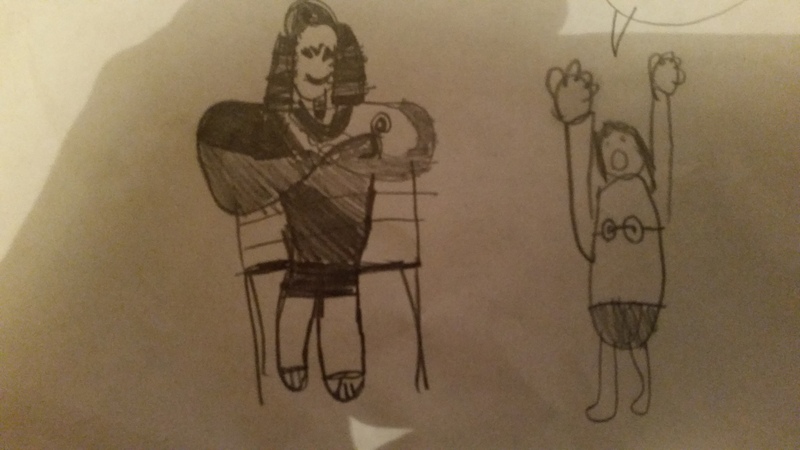 Of course, what else would a young boy be fascinated by when it comes to ancient Egypt. My son’s interest in mummies was first pricked when we visited the British Museum. 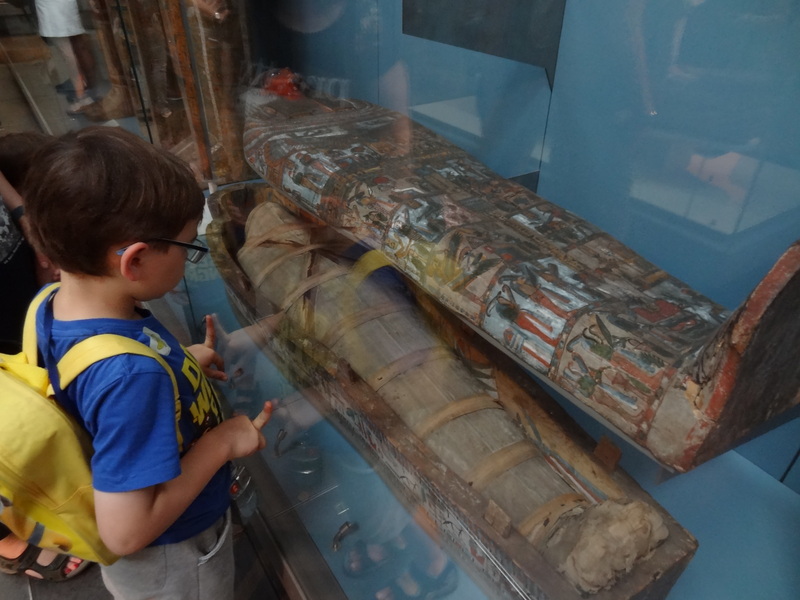 No visit to the British Museum is complete without a visit to their fascinating yet busy Egyptian collection which outside of Cairo is the largest in the world! 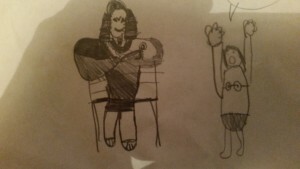 The word ‘Mummy’ is very confusing though, not least of all for my 5-year-old son who wanted to know what ancient Egypt had to do with his Mummy! So why do we call them Mummies? Well it’s an Arabic word for bitumen (a type of black tar, used to make road surfaces in modern times!). 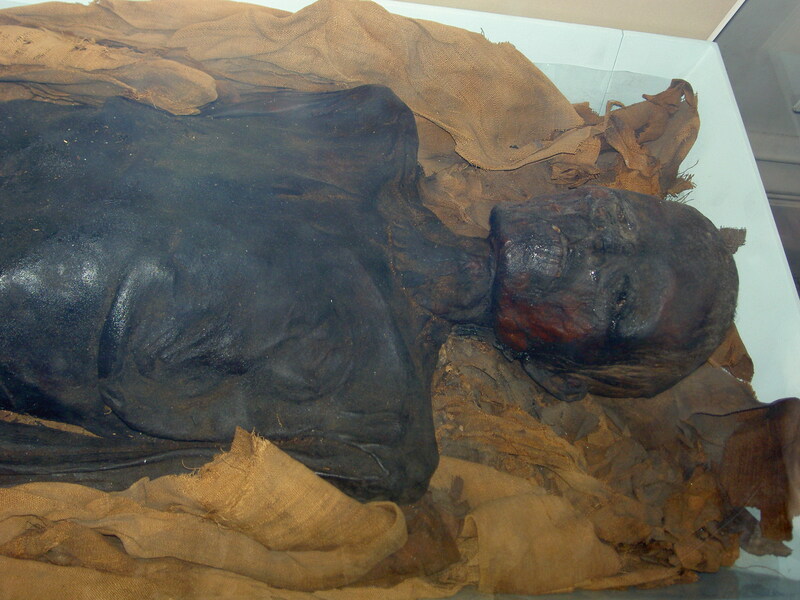 When the Arabs discovered and wrote about Mummies they thought they were covered in bitumen. Why did Egyptians mummify their dead? Well like many religions, the ancient Egyptians thought that one day the world would end and we’d move into the afterlife. In the afterlife you’d need your body, this is no use if it’s rotted away! To make that long journey they would need their earthly body hence the emphasis on preservation. Undress the body and place it on a wooden table. Wash the body with wine and Nile water. With a long metal hook, go up through the nose and break into the skull. Writhe it around to break up the brain into little chunks. Use another metal rod with a cup-shaped end to scoop out the brain. You can chuck the brain out; Egyptians didn’t value the brain. Pack the skull cavity with natron (a naturally occurring salt found in dried salt lakes) and plaster. Make a cut along the side of the body. This was done by an embalmer called a ‘ripper-up’. Remove the internal organs and wash the inside of the body out with wine and spices. Place the stomach, liver, intestines and lungs in canopic jars (a special type of jar, sometimes in the shape of an animal designed to hold the organs), add natron and seal them. Don’t forget to put the heart back in the body after a good wash.
Cover the body completely in natron to draw any remaining fluid out and leave for between 40 and 70 days. Dig the body out of the natron and pack the empty body cavities with rags, plants and spices. Wrap the body from head to foot in fine linen cloth smeared with gum. 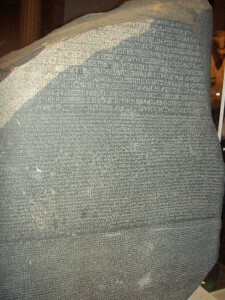 Sometimes charms and prayers were written on papyrus and placed inside the wrappings. Put the body in a sarcophagus. Place the mummy in its sarcophagus (a type of coffin, normally wooden or stone and often decorated) in a tomb along with a variety of other items they will need in the afterlife. Tomb raiding was common and most tombs were raided in ancient Egypt within 100 years of their construction. You may want to add some anti chambers to confuse any would-be raiders. So what became of the mummies. Well mummies are still being discovered, hidden away for thousands of years. Most major museums hold a mummy or two thanks to the Victorian fascination with anything associated with Ancient Egypt. In fact, in Victorian Britain, mummy unwrapping’s became an ‘A’ list event! 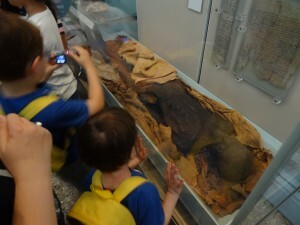 Mummies were sometimes used as a source of fuel, due to them being completely dried out they would burn really easily. There are reports of firemen using them to stoke the boiler on steam trains! Perhaps the weirdest fate of a mummy is its use in per-industrial medicine, in a powdered form to treat just about any ailment! This entry was posted in Ancient Egypt, Ancient History and tagged Afterlife, Ancient Egypt, British Museum, Mummy, Pyramids, Wonders of the World by SliceOfHistory. Bookmark the permalink.